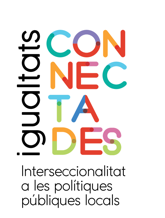 This session proposes to implement intersectionality as a methodology of social transformation through the generation of knowledge about how the intersectional perspective can be applied to social and community intervention and at the same time to expose a series of experiences of social and community actions that incorporate the axes of class, origin, age and gender in their intervention. The above will be worked through an exposition of Desiré Rodrigo, where everyone can dialogue to share questions, contributions and comments. On the other hand, the session will promote participation dynamics to establish concrete proposals for Terrassa context. At the end of the session there will be presented some conclusions. Remember that the video record of the session will be uploaded soon on the web.